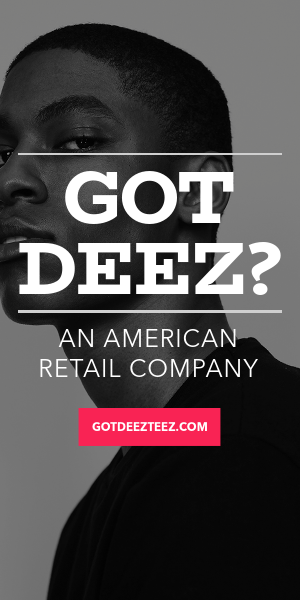 The “Got Deez?,” Founder Sean “Swift” Walker failed at 15 businesses before starting Deez Teez, LLC. Swift, used his last $65 from his Veterans Disability Check to launch a custom t-shirt company in 2017. Inspired by the brightly-colored white sand and blue water, at Pensacola Beach, he set out to create a similar garment in a t-shirt or tank top. Today his eponymous luxury brand is best known for those “That Beard Tho” t-shirts and hoodies, but also sells dresses, suits, shoes, handbags, and accessories. Swift has kept the multi-million dollar company private, listing its shares to private investors. Since 2017 he has operated Got Deez Teez, LLC. from his headquarters on the Bayou Chico, a 1926 single family dwelling that he has renovated for himself, Wendy, 3 dogs, and staff. Swift poured $20,000.00 settlement into an investment portfolio of Blue Chip Stocks and ETF’s which today is worth $1.3 billion. Inspired by Warren Buffet value investing tactics, strategies, and total business acumen, Swift has set out to create a similar Warren Buffett or Berkshire Hathaway situation.